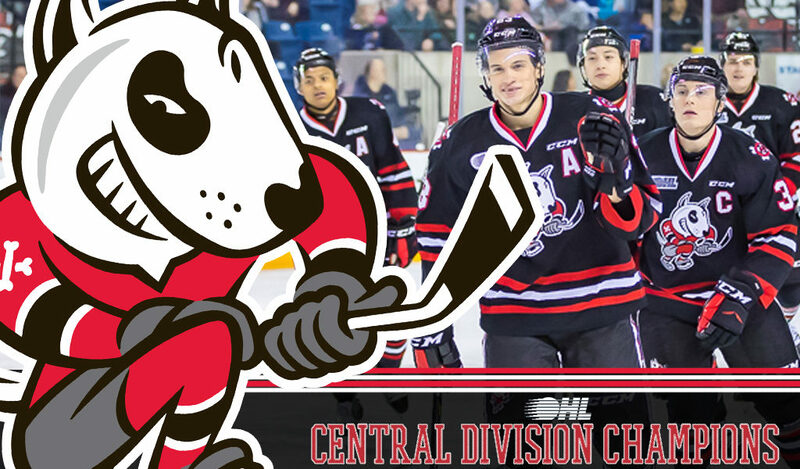 It came down to the final day of the season, but the Niagara IceDogs are 2019 Central Division champions. League scoring champion Jason Robertson scored and added two assists as the Dogs skated to an 8-3 win in North Bay, securing their first Central Division crown since 2012. Congrats to @OHLIceDogs for clinching the #OHL Central Division title. The IceDogs finish the season on a six-game winning streak with an overall record of 44-17-7-0 for 95 points, four up on the Sudbury Wolves who suffered an 8-2 season-ending loss in Oshawa on Sunday. The Central Division championship earns the Niagara IceDogs their second-ever Emms Trophy, an award first presented in 1975-76 when the OHL was split into divisions with the expansion of the league to 12 teams. The award originated in recognition of long-time Barrie and Niagara Falls Flyers head coach Leighton ‘Hap’ Emms for his contributions to junior hockey in Ontario. In winning the division, the IceDogs unseat the Barrie Colts who had finished first in three of the past four seasons. 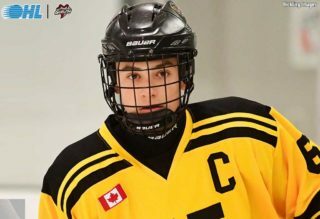 The IceDogs scored a club record 326 goals on the season, leading the league in that department with the most by a single team since the 2015 Sault Ste. 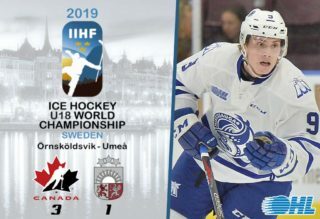 Marie Greyhounds and Erie Otters scored 342 and 331 respectively. 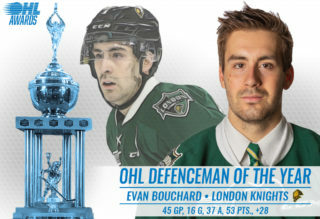 Niagara (Robertson, Jones, Thomas) joins other highly successful teams in recent OHL history in the 2016 London Knights (Dvorak, Marner, Tkachuk) and 2015 Erie Otters (Strome, McDavid, DeBrincat) in boasting three different 100-point scorers in their lineup. Niagara’s success wasn’t limited to offensive endeavours this past season. Overage netminder Stephen Dhillon set new club records for career (98) and single-season (38) victories as well as games played (197), surpassing franchise standout Mark Visentin in each of those categories. 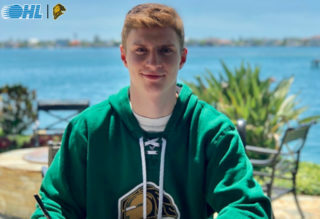 While second-year head coach Billy Burke manned the bench, brother and general manager Joey Burke made several midseason acquisitions, adding prominent veterans in the aforementioned Robertson, Canadian National Junior Team member Jack Studnicka, overage defenceman Matt Brassard as well as Nashville Predators prospect Jacob Paquette. The IceDogs reached the league final the last time they were Central Division champions in 2012. 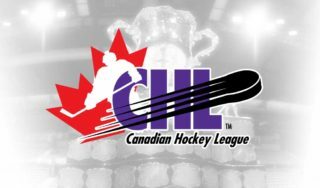 This year they look to finish the job and bring the Niagara region its first OHL Championship since 1974.